Police arrested two people wanted for murder charges in Negros Occidental Thursday afternoon. 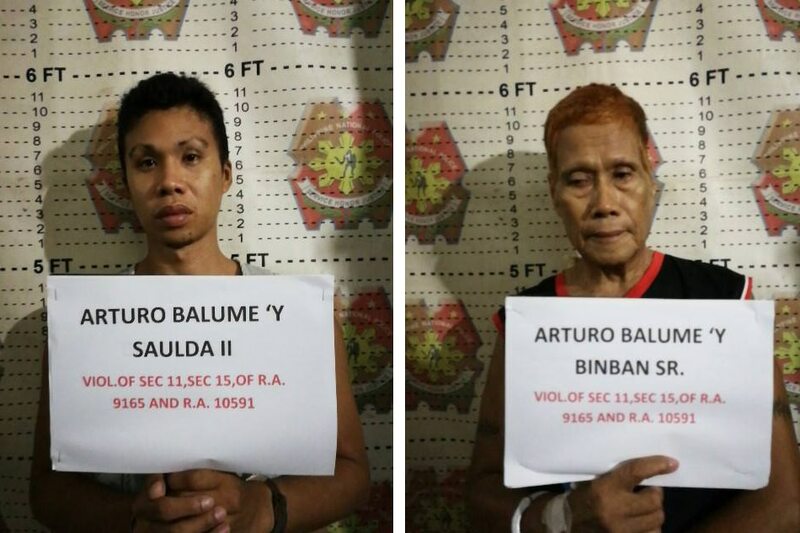 They were identified as Arturo Balume Sr. and his son Arturo Jr.
Senior Insp. Leomel Gonzaga, chief of Hinoba-an Police Station, said the Balumes are also alleged members of a drug group operating in Iloilo Province. The suspects were spotted in Negros where the elder Balume was seeking medical help. The Balumes were caught in Barangay 1 in the town of Hinoba-an at 5:30 p.m. Thursday during a joint operation of Iloilo Provincial Police Office and Negros Occidental Provincial Police Office. Seized from the Balumes were 10 sachets of suspected illegal drugs and two firearms inside the car. The police also took their respective wives and Arturo's father-in-law for questioning.